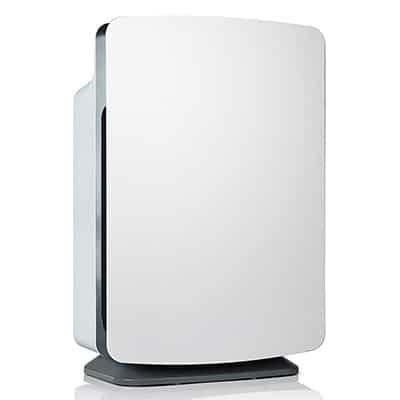 We have tested the best air purifiers for allergy sufferers. These brands will help reduce the effects of allergies by clearing the air of toxins. The Hamilton Beach TrueAir uses HEPA fliters and accounts for 99% of particles. It easily cleans the air in rooms up to 140 square feet. The Alen BreatheSmart is customizable for allergy sufferers. It uses HEPA fliters and cleans the air in rooms up to 1100 square feet. 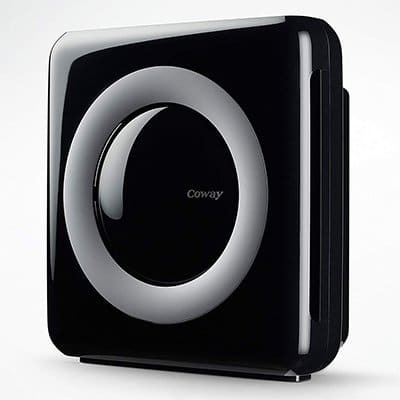 The Coway AP-1512HH uses HEPA fliters and cleans 99.97% of the particles in the air. It cares for rooms up to 360 square feet. From our research, there are many different ways to combat the symptoms (such as traditional medications). 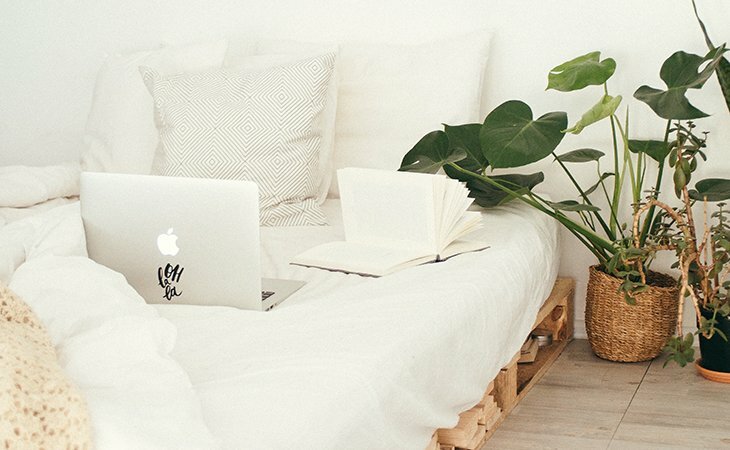 Using an air purifier can be an effective supplemental strategy as well. We have tested the best air purifiers for allergy and asthma sufferers. These brands will help reduce the effects of allergies by clearing the air of toxins so you can breathe cleanly…every time. If you have ever looked at air purification or filtering in any way, you most likely have seen the term “HEPA” (High-Efficiency Particulate Air). It is the most common type of air filtering process, due mostly to how efficient it is with removing particles in addition to the fact that the filters themselves are easily and cost-efficiently manufactured. What makes HEPA work so well to get the nasty stuff out of the air we breathe is the specification of the filters themselves. HEPA filters can trap particles as small as 0.3 microns at an efficiency rate of over 99%. Filter elements that use activated carbon are great for absorbing odors, gases, and dangerous volatile organic compounds (VOC’s) from untreated air. In its natural state, carbon already has exceptional absorption properties. By using heat or some sort of chemical treatment it can now be considered “activated”. Once activated it can absorb a greater level of contaminants. Activated carbon elements are commonly used in air purifiers that have a multi-stage capability. UV radiation technology for use in air purification isn’t completely uncommon, but it is not found nearly as often as other processes such as HEPA. The main reason for this is that the type of UV radiation used for the process is UV-C, which is typically considered to be the most dangerous type. The actual process itself is very effective, though. UV-C radiation has the capability to completely destroy (at a cellular level) most airborne contaminants that are targeted to be removed by traditional air purification methods. Ionic “filters” really aren’t “filters” at all. Well, at least not in the traditional sense of air flowing through a material and particulates being caught and filtered out. An ionic system is based on simple electrical properties. Using a set of metal plates, a negative charge is generated which creates a field that attracts airborne contaminants and they then actually stick to the plates. It is an efficient process, and a large benefit is that there are no filters to replace over time. With an ionic system, you simply remove the housing that mounts the plates and wash them off. Ozone is a modified form of oxygen. It has an extra molecule in its chemical structure, and that gives it capabilities that pure oxygen does not have. One of these properties is that it can attack particles in the air and neutralize them. Sounds great, right? The problem is that ozone itself can be just as bad – if not worse – for your health. So, while ozone can be used for air purification purposes, we would highly recommend against using it if allergies and asthma are a primary concern. Photocatalytic Electrochemical Oxidation (PECO) is an advanced technology for air purification. Harnessing light energy coupled with filter specifically designed for the PECO process, contaminants and particles in the air can be completely oxidized. While it is effective, it isn’t a very common process that would be found in most air purifiers designed for the mass consumer market. That isn’t because of any danger associated with it though. It is a fairly new advancement that is used by only a few manufacturers. Which Type is Best for Allergy and Asthma Sufferers? Based on our research we have found that a HEPA-based air purifier may be the best option when allergies are involved. This is due to the efficiency that a HEPA filter has with removing a high level of small allergens from the air that is passed through it (a minimum of 99.7% of particles that are at least 0.3 microns in size). Dust mites, mold spores, pollen, and pet dander in the air inside your home can cause problems if your family has allergies or asthma. Using HEPA filters can trap these pollutants and may help bring allergy relief. In order to buy the air purifier that is the best for your application, you may have to look at more than whether a particular model seems to be a good solution for allergy and asthma sufferers. The technology used is only one part of the equation. Let’s take a few minutes to look at the other factors that will make your buying decision the best that it can be. Remember that, even though we have reviewed several models and have an overall recommendation for what we think is the “best”, the truly “best” model is the one that meets your specific needs and usage. One of the most common specifications you’ll see when looking for the best air purifiers for allergies and asthma is the coverage area. That’s simply a measure of how big of a room can effectively be purified given the capacity and capability of a particular air purifier model. Knowing the size of the space you want to purify is pretty important as the amount of coverage area is certainly different from model to model. So how can you figure out how much coverage area you need to have? Now, don’t freak out and think you have to go back to algebra class. Trust me – it wasn’t my favorite either! It’s actually pretty easy to do! For a typical rectangular room, take a tape measure and find out the length of the room is. Then measure the width. Multiply the length (L) times the width (W) and you’ll get the area. For example, let’s say that your living room is 15’ long and 10’ wide. 15’ x 10’ = 150 square feet. All you have to do is target units that exceed that size and you’ll be just fine. Be careful to not over specify, though. You don’t need a unit that can purify 1,000 square feet if you only need 150. That will normally lead to you paying more for a unit that is too big for your use. Which filtration process or technology is the best for your use? While we have already discussed HEPA filters as being the best for allergies and asthma sufferers, you may need to consider other types if you may have a high potential for other types of airborne hazards. Do you (or anyone else in your home) smoke? If so, then not only can allergies be an issue, but there can be the smell of cigarettes or cigars in the air that you may want to get rid of. In that case, HEPA may not be the best solution. Each type of filtration has pros and cons. Take the time to do your homework so that you don’t make a mistake and end up buying a unit that won’t best fit your needs. Maintenance and life of filter elements are determined mostly by the type of technology that a particular air purifier uses. Most manufacturers will give recommendations as to when to change, clean, or replace a filter. Carbon filters can last 3 to 5 years before they need replacement, and HEPA filters may have to be replaced more often (2-3 years under normal to heavy use). If you are looking at an ionic air purifier, there are no “filters” to be replaced. The plates that collect the contaminants will need to be cleaned periodically, again at an interval suggested by the manufacturer. No two filtration types are the same as far as how effective they are at removing particles. HEPA is the most common, and with good reason, due to the high-efficiency standards, they are manufactured to. There are also filters that are rated for Fine Particulate Matter (PM 2.5). PM 2.5 is a specification similar to HEPA but it relates to particles that are only 2.5 microns in diameter. Ionic technology, by its nature as an electronic process, isn’t limited to particular particle size. This is different from a mechanical filter element such as HEPA, but we have found that ionic air purification may not be as effective. A good measure of an air purifier’s capacity is the units CADR rating. Standing for Clean Air Delivery Rate, CADR is a numerical value that says how many cubic feet per minute that the unit can effectively purify. Since different hazards related to different types of particulates, there can be several CADR specifications for the same unit. You may find ratings for smoke, pollen, and dust, with smoke particles being the smallest and dust being the largest. High CADR ratings for pollen and dust may be beneficial for those that suffer from allergies or asthma. For the most part, all air purifiers for home consumer use are extremely portable. They range in size due to the technology used in addition to the designed capacity. They typically sit on a desk, table top, or the floor, and a standard wall outlet is all you need for power. Most models have some level of operating settings. Different motor speeds are common across the entire range, and some may have timers as well. Other than that they are fairly simple devices that do not really need much of your attention. Air purifiers are typically quiet in operation, with most operating at a level that can easily be overcome with normal conversation. Some may like a little bit of white background noise, similar to a fan that is left on. They aren’t overwhelming, though. Noise levels are specified by decibel (dB) ratings. The table below gives a good general example of the dB levels and the sounds that they are equivalent to. You may find that most air purifiers are in the low-to-mid 50’s range. The amount of electricity consumed by a typical air purifier is relatively small, and you shouldn’t see any dramatic increase to your electric bill, even if you leave the unit on most hours of the day and night. A standard electric heater can consume 1500 watts of power. Some air purifiers run at much less than half of that (around 200 watts). That number can vary based on the size and capacity of the unit along with the type of technology that is used. It can be very easy to oversize your air purifier. By “oversizing” we mean buying a unit that has too much capacity for your use. A good analogy would be buying a high-performance sports car that can go 200 MPH when all you really need is something that can travel at slow speeds around the city. Why would you pay for more than what you really need? The coverage area is a good specification to look at here. Try to get one that has a coverage rating that is just a bit bigger than the room where you plan to put it. Having a little extra gas in the tank isn’t a bad thing, but too much can be a waste of your hard-earned cash. The level of the warranty that is offered by the manufacturer is an important point to consider. You always want to look for a model where the warranty has the longest duration in combination with covering the most. Some warranties only cover certain parts, so take the time to do a hard comparison between two models with similar specifications. In that case, having a better warranty can be the tie-breaker when most other factors are the same. Our first choice for the best air purifier for allergies is the Alen BreatheSmart. The BreatheSmart was designed to be a whole-house solution, with a cleaning coverage area of 1,100 square feet. That means it’s a little larger than some of the air purifiers we looked at, but it’s definitely worth the extra space that it takes up. To keep the larger package size from being unattractive, Alen designed it so you can put one of 15 different panels on the front. Each panel has a unique design and color, so there should be an option that will fit in nicely with your existing room décor. Looking good is one thing, but having a robust feature set is something else. We can tell you that the BreatheSmart will not disappoint you in that regard. The HEPA filter will efficiently take out all of those microscopic allergens and dust that can make breathing difficult for allergy and asthma sufferers, and it also has an ionic mode that can be turned on and off separately from the HEPA filter operation. Add it up and those nasty things in the air don’t have a chance. There’s no guesswork on when to change the filter thanks to the convenient filter change indicator. When the LED lights up, it’s a simple process to change the filter element. There are four fan speeds along with an automatic mode as well for the most effective air cleaning. On top of that, there is a timer that can be set for up to 12 hours of operation. Alen has so much faith in the quality of the BreatheSmart that it offers a limited lifetime warranty – certainly one of the features that impressed us the most. Looking at it from all angles, this Alen model has rightfully earned the top spot on our list. Small but powerful, the Hamilton Beach TrueAir may just be what the doctor ordered if you tend to be allergic to your pets. 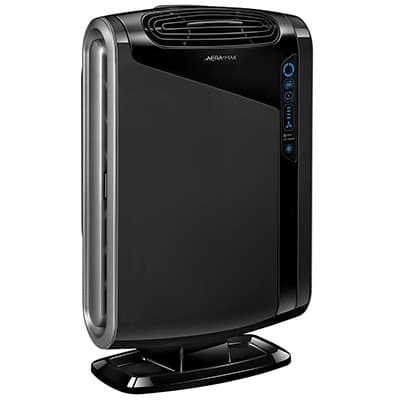 The TrueAir has features that you’ll typically find in air purifiers that are much more expensive. It may not be very big but it has three stages of operation: a pre-filter for larger particles and pet hair, carbon for odor removal, and HEPA for trapping fine particles. Pesky pet dander and odors don’t stand a chance! One of the best features is the permanent pre-filter and HEPA filters. No more having to pay for replacements! When it’s time to change the filter you simply take them out and clean them. Reinstall and you’ll be good as new. 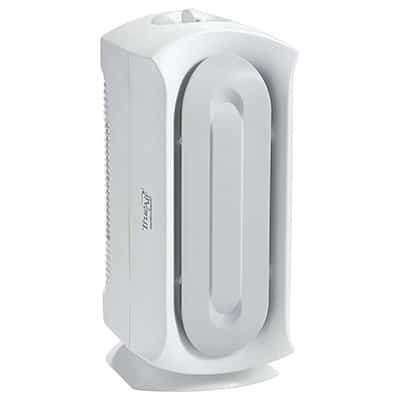 The quiet three-speed fan will also keep your room air cleaned without an excessive amount of noise. It’s important to keep the coverage area in mind. 140 square feet isn’t huge, but it certainly can be enough for one of the smaller rooms in your home. Consumer reports state that this model is suitable for desktop and floor use. We found it is very compact and fits nicely into smaller spaces. Add a one-year limited warranty to the mix, and the Hamilton Beach is a little giant of an air purifier. Fighting with asthma can most certainly be a burden. You may be able to breathe a little easier with the Coway AP-1512HH – our choice for the best air purifier for asthma sufferers. 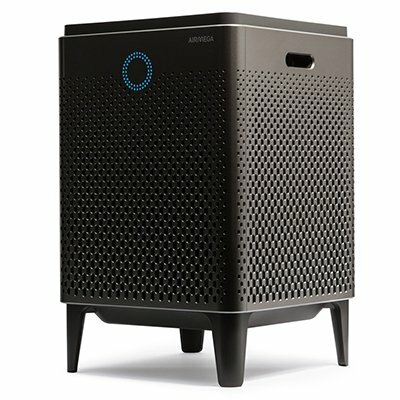 The wirecutter.com rated this as their top product for overall air purifiers – claiming it is effective, efficient and inexpensive. This unit rated #1 on our list for air purifiers that handle smoke the best, so it’s only natural that it would be a great choice to aid with asthma symptoms as well. It may be small, but it packs a punch! The AP-1512HH keeps an eye on your air quality for you, with a multi-colored LED that changes depending on the level of air quality, and you’ll always know when it’s time to do a little maintenance thanks to the filter change indicator. That’s a lot easier than trying to figure out when the last time the filters were changed or cleaned. You’ll find functions that are not typical for a unit this size, such as a multi-stage fan and a timer that works in conjunction with an automatic mode. Asthma sufferers may breathe a little easier once this Conway product is up and running, and your wallet will breathe a sigh of relief as well! Boasting a large coverage area of 1,560 square feet (almost the size of many homes), you shouldn’t have a whole lot of concern regarding how much capacity it has. It also will clean your air quickly with a CADR rating of 350. The filter change indicator not only tells you when it’s time to change out the Max2 Filters for new ones, but it also will let you know when to wash out the permanent pre-filter. If you have a large area to clean or have a lot of pets, then the AirMega 400 may be the air purifier for you. Featuring a four-stage filtration process, the Fellowes AeraMax 290 is our best choice for taking care of mold – one the most common allergens. Many air purifiers have three stages of filtration, but the AeraMax adds another layer of protection. In addition to a HEPA filter, a carbon filter, and an ionizer, it also includes an antimicrobial treatment. This will minimize any growth of fungi or mildew on the HEPA filter, which will reduce odors and may keep your air cleaner than just using the HEPA component alone. It is very effective with removing allergy-inducing particles, and it is one of the only air purifiers we have seen that is certified to be “asthma and allergy friendly” by the Asthma and Allergy Foundation of America. The stylish design houses a range of great features, from an adjustable vent, multi-speed fan, a filter change indicator, and an automatic mode that with change the fan speed based on the level of air quality that it senses. The AeraMax 290 would make a perfect addition to a medium-to-large size room with up to 600 square feet of coverage area. Taking that with all of the other great features and a three-year manufacturer’s warranty, any mold in your home might as well just give up! Asthma is a disease of the bronchial tubes in your lungs where the small muscles in the airways can tighten up, the linings of the airways can become inflamed, and more mucus is produced. Asthma isn’t an allergy per se, but the two can be related. It can be triggered by a reaction to common allergens (such as mold). This condition is called “allergic asthma”. Pet dander is a term for very small – even microscopic – particles of skin, particularly from most types of animals that have hair or fur. It can be similar to dandruff but on a much smaller scale, and therefore can be transferred and suspended in the air around your home. Cats and dogs are the most typical pets in the home, and someone can be allergic to dander from one but not the other. If you have this issue then check out our article on air purifiers for pets. Mold can grow in almost any place where you can have a moist environment, such as your basement, bathroom, or even under your kitchen sink. Individual mold spores are so small that you typically can’t see them with your naked eye. They are a primary cause of allergies and irritation and can be the main trigger for allergic asthma. We have suffers covered with a comprehensive article focusing on the top air purifiers for mold and mildew. Pollen is a fine powder (typically yellow in color) that is produced by all kinds of plants and flowers, and it actually is quite beneficial for natural fertilization. It can be so fine that the wind can blow and keep it suspended, causing all kinds of problems if you happen to be allergic to it. Many allergy sufferers have to limit their outdoor exposure when allergy season starts. Those expensive perfumes and colognes people wear may smell great, but they also can trigger allergic reactions in a growing amount of people. Fragrance allergens are typically related to the VOC’s that are used in perfume and cologne production. Some can be so allergic that the wrong smell can trigger allergic asthma as well. Most units on the market today do not use a single filtration type. Different technologies have distinct benefits over each other, and manufacturers recognize that. In order to design the best all-around air purifiers, it is common to combine the most effective filtration types into a single unit. With a three-stage air purifier the first stage is typically a pre-filter. Here is where the largest (and therefore easiest) particles are filtered out, normally by some sort of mechanical filter medium. This helps to ensure that the more efficient processes (such as a HEPA filter) can concentrate on removing the smaller particles that it was intended for. The second and third stages are usually made up of a carbon element and a HEPA filter (in different order depending on the model). Activated carbon has beneficial properties that other technologies may not do very well. It is the filtration type of choice for absorbing harmful VOC’s and gases out of the air, in addition to aiding with odor removal. HEPA is designed to trap extremely fine particles. The filter medium resembles paper, but it really is a set of small and dense glass fibers. It is very efficient, and that efficiency can be greatly reduced if the surface area of the filter is being used for the larger particles that are taken out in the pre-filter stage. HEPA filters work by capturing those microscopic particles in one of three manners: impact, interception, and diffusion. Impact is where some particles crash head-on into a fiber and get absorbed. Interception is when a particle gets close to a fiber and gets caught against it. Diffusion is when particles crash into each other and get forced into the fibers. The fourth stage (when available) is typically a process such as ionization (to catch any particles that may have made it through the HEPA). Flat surface to set the purifier on (either the floor for larger units or a desktop/countertop for smaller ones)? Got it. And…that’s it! You’re done. You can’t get much easier than that. Pretty much any model of air purifier you are considering is pretty easy to keep in top operating condition. While some models have indicators that tell you when it’s time to change or clean a filter, others do not have that type of feature. In that case, it’s important to read the owner’s manual so you know what the maintenance intervals are for specific filter elements. Not only is the time interval important, but the method of maintenance also differs as well. Some filters are one-use only and have to be replaced with new while others can be washed and reinstalled. 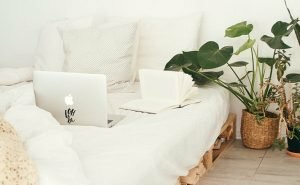 Are air purifiers safe and healthy machines to run in my home? Most of the filtration types and processes that we have discussed do not present any danger to the end user. Some do though, such as UV radiation and ozone generators. Regardless of the technology you end up going with, it’s always a safe bet to simply use the units as the manufacturer intended. Models on the lower end of the price range often have fewer features and benefits than the higher-end models. Also, you need to consider that the less expensive models might not use the best quality parts or have the best workmanship. That doesn’t mean that cheaper units aren’t worth your time though. As long as you do your research you may find that those models may be the best choice for your situation. What else can I do for my allergies? Wear a mask. No, I don’t mean like for Halloween. I mean one of those small filtration masks that cover your mouth and nose. What else can I do for my asthma? Drink coffee. It’s true! Some studies have shown that the chemical structure of caffeine is similar to theophylline, which is a common asthma medication used to help calm the muscles in your airways. Change your toothpaste. Even truer! According to The New England Journal of Medicine, certain compounds in toothpaste can aggravate asthma symptoms. Who would have ever thought that? Suffering from allergies and asthma can be just miserable. While it may not be possible to be completely cured, there are most definitely things you can do to help ease the effects. A good quality air purifier that has true HEPA capability (such as the Alen Air Purifier – our top choice for the best overall air purifier for allergies and asthma) can be an important part of your strategy to keep your air as clean as it possibly can be. Make sure to take the time to do your homework when researching different models of air purifiers. If you keep the points we have discussed in mind, your buying decision can be the best one for your needs.